ClearSky has partnered with Foster Denovo, a multi-award winning firm of financial advisers, who have put together a brochure, Don’t Lose Out on Your Pension Pot. 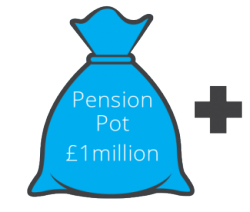 You can download the Pension Pot Guide for free in order to get a better sense of whether you may be affected by the pension changes. So what can you expect from your download? Here are some key morsels from the brochure to give you an idea on what to look out for with these alterations.  According to the new rules, the tapered annual allowance will affect all those earning over £150,000 per year. But this tells only part of the story, as it is not just about your annual salary but your adjusted income. The term ‘income’ also includes employment income and additional taxable private income you may receive from savings, investments, and buy-to-let income. The emphasis of that adjusted income is on your own pension contributions. The new regulations stipulate that for each penny more than £10,000 you pay into your pension, you could confront a 45% tax bill on that contribution. Ergo, a £40,000 contribution could result in a hefty, unexpected £13,500 tax bill. Before the 6th April, the maximum contribution you had to make to your pension before the taxman came calling was £40,000 for those with an adjusted income of £100,000. At that income, HMRC paid in for the employee as much as £16,000: now, for those with an adjusted income of £210,000, the HMRC will pay in less than a third (£4,500) of that previous amount. The old saying all but assures that while we generally don’t like to talk about death or taxes, they are (and will remain) an unshakeable fact of life. Canada Life estimates that 90% of today’s group life assurance benefits have been set up as pension arrangements. 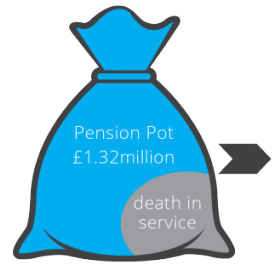 Given that, a death in service pay out can’t be classed as a taxable benefit, the new lifetime allowance limit of £1 million could prove very costly for the intended beneficiaries of your death in service. This is not something anyone wants to contemplate. But if you were in the same position, earning £80,000, your family would receive four times that amount if you were to die. 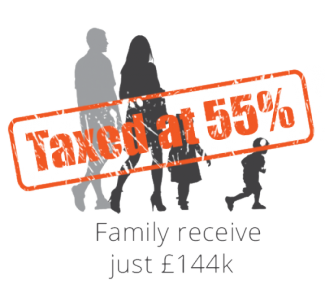 And unless you took preventative action, the pay out of £320,000 would be subject to 55% tax before your family received any money. So it would fall from £320,000 to £144,000. Not what your employer intended when they offered you the benefit. 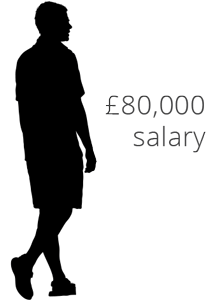 Please note: even individuals on an income less than or greater than £80,000 could be affected. So, in addition to the heartache of losing a loved one, they wouldn’t even get half of what the employer intended to pay out. 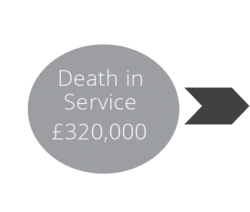 Have your family receive less than half of your death in service payout due to tax. There are several other factors the brochure raises, including issues regarding lifetime allowance or whether it may be wise to stop your pension contributions altogether. Here at ClearSky Financial Services, we can offer you many helpful ways to understand what’s at stake for you and your loved ones. Get in touch now on 0330 332 7140* or email clearskyfs@fosterdenovo.com to see how you might be affected. We also invite you to download the brochure.